K-Tek depends on in house manufacturing to maintain superior quality and exceptional products without compromise. Based in Vista, California, K-Tek has been the motion picture, television and media gathering leader in microphone accessories. From the original KLASSIC carbon fiber telescoping boom pole, the patented articulated pole and cost effective aluminum boom poles, K-Tek has serviced the professional audio industry since 20 years. K-Tek offers many poles in varying collapsed and extended lengths. The tubes are made with a unique layered approach to carbon fiber which allows for an extreme light weight and unmatched durability. The headpieces can be modified or an adapter can be attached with a standard rail system. 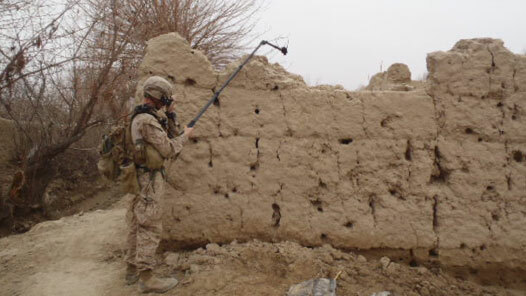 Currently K-Tek poles are used in various EOD and IED kits. The popular articulated pole has also been used to mount precision cameras giving the user an extended reach or an angled view. These poles are also available with aluminum tubing.